Global IME Bank and IME Life Insurance have inked a bancassurance agreement under which the bank will facilitate the sales of the life insurance policies and services of the insurance company through its ever-widening branch network. 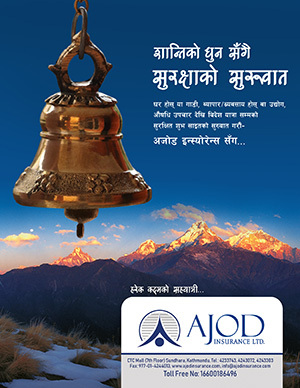 The agreement for the same was signed between CEO of the bank Mr. Janak Sharma Poudyal and Deputy MD of the insurance company Mr. Denesh Amatya amid a program. The bank is currently providing banking services from it 131 branches, 15 revenue collection counters, 5 extension counters, 134 ATM outlets, 100 branchless banking units and 3 foreign representative offices at different foreign cities.